Front View Of An Old-fashioned Antique Super 8mm Film Projector, Projecting A Beam Of Light In A Dark Room Next To A Stack Of Unraveled Film Reels. Foto Royalty Free, Gravuras, Imagens E Banco De Fotografias. Image 113743665. 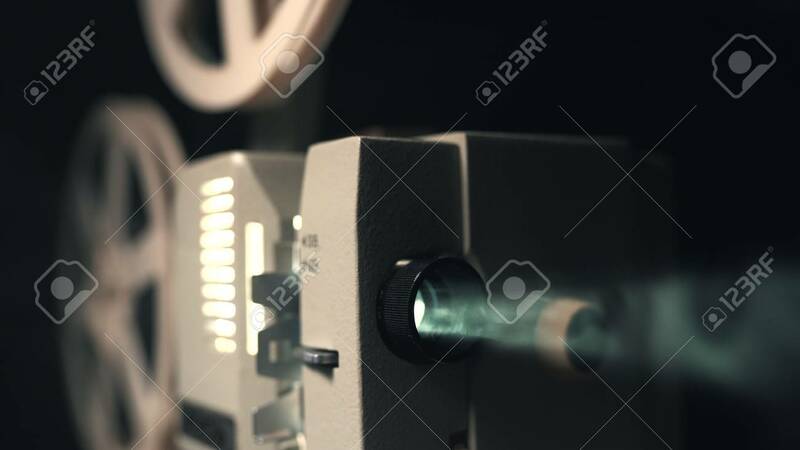 Banco de Imagens - Front view of an old-fashioned antique Super 8mm film projector, projecting a beam of light in a dark room next to a stack of unraveled film reels. Front view of an old-fashioned antique Super 8mm film projector, projecting a beam of light in a dark room next to a stack of unraveled film reels.